As summer draws to a close, we’re all getting into the swing of back to school! Shopping for new supplies and getting ready for upcoming soccer games are both important, but making sure your child gets to school with a nutritious lunch is crucial to their ability to focus and learn. 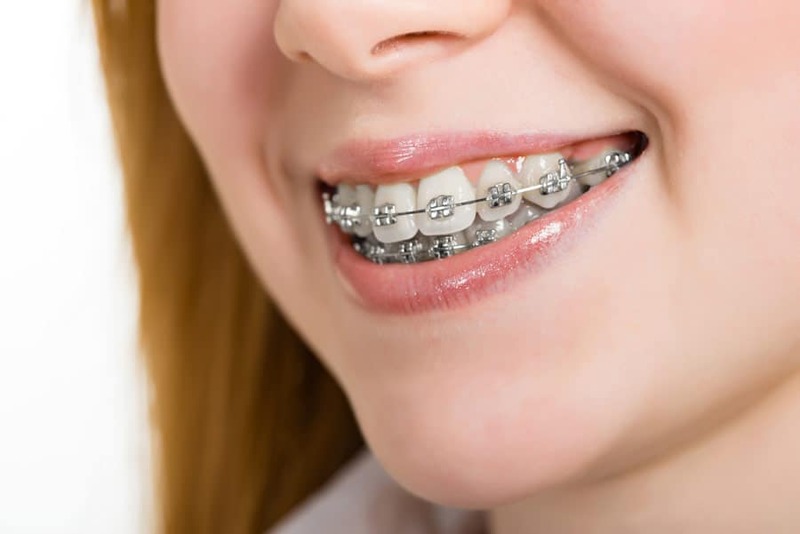 However, if your child has braces, making sure lunch is both healthy and braces-friendly can be difficult. Fear not—small adjustments to a child’s school lunches can ensure nutritious, safe options. Eggs, seafood, and chicken are easy ways to provide your child with protein without damaging his or her teeth. Your child can get calcium from yogurts and puddings, and their daily intake of fruits with soft ones such as tangerines, oranges, or kiwis. Steamed vegetables are an excellent option as well. A healthy lunch might include a soft sandwich, paired with a soft, peeled fruit (think orange or banana), and a small treat, like pudding or applesauce. Hard foods, such as pizza crust, should not be in your child’s lunchboxes. If possible, harder foods can be safe if they are cut up into small pieces to prevent any damage to braces. Apples, pears, and other hard, crunchy fruits should be cut up as well. 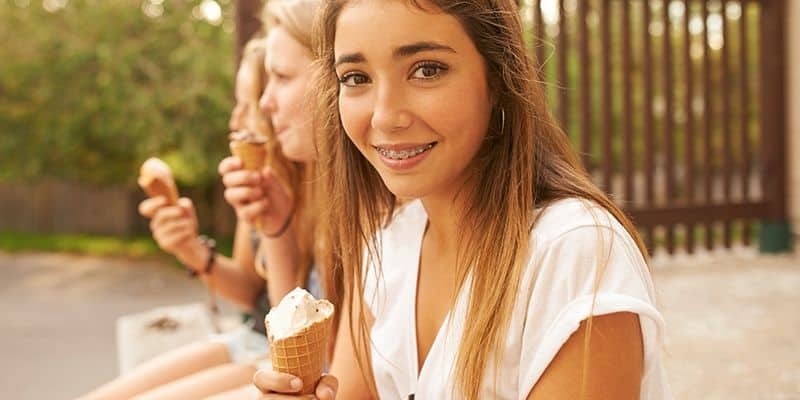 If your child bites into hard foods while wearing braces, the brackets can easily pull away from teeth and break, which can be incredibly painful. By putting careful thought into what your child eats, you can save the time and money it would take to repair damaged brackets. As a general rule of thumb, avoid any foods you consider hard or chewy. Hard candies or gooey caramels are a nightmare for braces, and breakages they might cause can extend the needed time for braces to stay on. So be sure to pack braces-friendly desserts for your kids like soft chocolates, brownies (without nuts) and soft cookies. Be thoughtful about those school lunches and it will all be worth it once a beautiful smile is in place! Copyright © 2018 | Hutta & Cook ORTHODONTICS.